On the Feast of the Annunciation, Daughters of Charity all over the world will renew their vows. 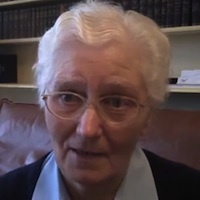 This will not be simply a renewal of devotion, but, as their vows will have expired the night before, they will be free to choose to commit themselves to God by making them all over again, says in five minute video Sr. Pauline Lawlor, Daughter of Charity from Province of Ireland, former General Councillor for the English-speaking Provinces. She gives brief explanation of why the vows of Daughters of Charity differ from other religious congregations. The video contains subtitles in Polish. “On 25th March, feast of the Annunciation, over 19,000 Daughters of Charity in 91 countries all over the world will renew their vows. This will not be simply a renewal of devotion, but, as their vows will have expired the night before, they will be free to choose to commit themselves to God by making them all over again. Our vows differ from those of most religious in so far as they are annual, taken for one year at a time, and also we take a vow of service of persons who are poor as well as the usual vows of Chastity, Poverty and Obedience. “To understand these differences we must go back in history to the roots of our Company in 17th century France. At that time, there was great poverty, both in the cities and in the country areas which were ravaged by war and disease. 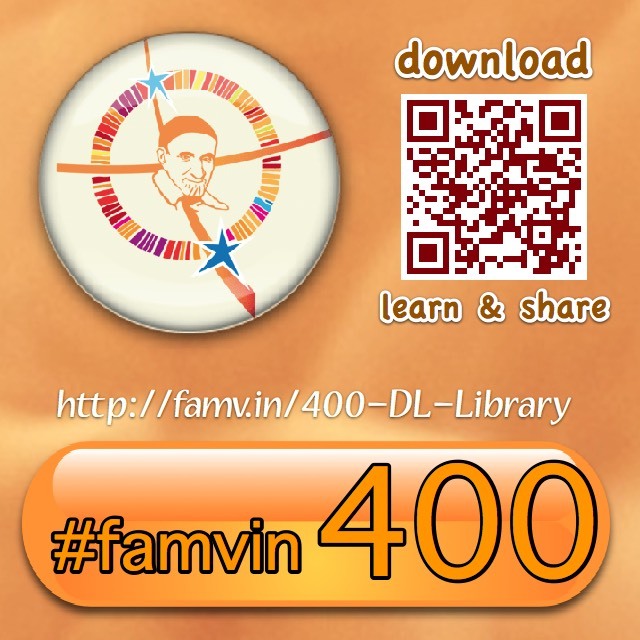 St. Vincent de Paul felt urged to respond to the terrible needs he saw daily all around him. He had already organised some ladies into what became known as the Confraternities of Charity. In Paris many of the grand ladies were involved in ministering to the poor. This arrangement went well for a time, but then some ladies grew lax and sent their servants to replace them. This was not good enough for Vincent, and he and his collaborator, Louise de Marillac agonised seeking a solution. Divine Providence provided an answer. A good country girl, Marguerite Naseau, arrived in the capital and offered her services to help in caring for the sick. Vincent was delighted, and soon other girls followed. At first they helped the Ladies in the parishes, and Louise kept in touch with them. The time came when she saw the need to gather them into a community for their protection and formation. After some initial reluctance Vincent agreed and in 1633 Louise took four girls into her house, and thus was born the Company of the Daughters of Charity. Vincent and Louise wanted these girls to give their lives totally to God in order to serve Christ in the poor, but they avoided anything that would classify them as nuns. The reason for this was that, at that time religious women were cloistered, and this would prevent the girls being free to go into the hovels of the poor to care for the sick. For eight years there was no question of vows, though the girls lived a life of total dedication in imitation of Christ. Then Vincent tentatively mentioned the possibility to them, and a year later, on the feast of the Annunciation 1642, Louise and four others made perpetual vows of Chastity, Poverty and Service of the Poor. Vows were optional for many years. Louise, with her great devotion to Mary, chose this feast, and saw Mary as a model for her Daughters in her complete surrender to the call of God, and in dedicating her life completely to the person ad mission of her Son. After 1660 it became standardised that all the Sisters made annual vows after five to seven years, and this practice has endured to the present day. One might ask why continue this now, as many religious with perpetual vows are free to come and go. The answer is, I suppose that annual vows for the service of the poor has become part of our identity and is recognised by the Church. The Sisters look forward each year to the Feast of the Annunciation when they must choose to commit themselves all over again, and a great current of renewal sweeps though the entire Company, which is now established in 95 countries all over the world. 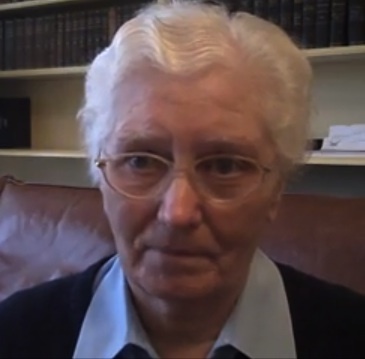 Sr. Pauline Lawlor, D.C. grew up in Ballyracket, Kilkenny County, Ireland in the 1930s and 40s. She entered the Congregation of the Daughters of Charity in 1951. She spent five years teaching in a primary school in North William Street and then ten years teaching in the novitiate in Blackrock, Ireland. She was one of the first to do a diploma in Religious Education at Mater Dei. In 1973 she arrived in Port Harcourt, and travelled on to Uyo where she spent a short period living with the postulants and getting to know Nigeria. She then moved to Eleme, Port Harcourt where she became the Seminary Directress of the first three Nigerian Daughters of Charity. The next three years were spent training those Sisters and others who came to join them. In 1976 she was called back to Ireland, to take up a position Visitatrix (Provincial Superioress). In 1991, she was elected as General Counsellor at the General Assembly in Rome in 1991. She spent six years based at the Motherhouse in Paris and visiting the English-speaking Provinces throughout the world. Then she returned to Ireland to do social work in Ballyfermot.